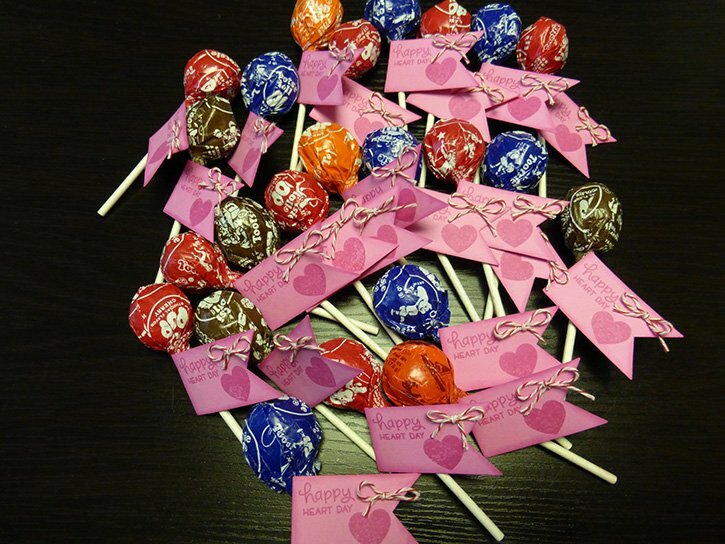 My kids are always excited for Valentine’s Day because they get to exchange treats and notes with their friends. 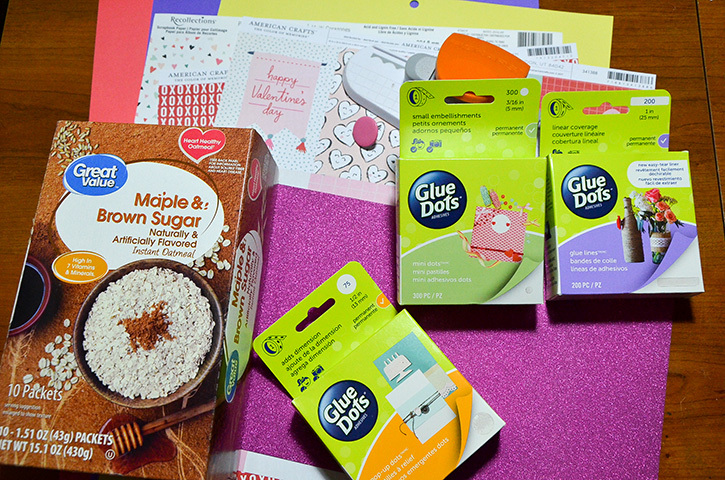 Make it extra special this year, with this festive DIY Valentine's mailbox. 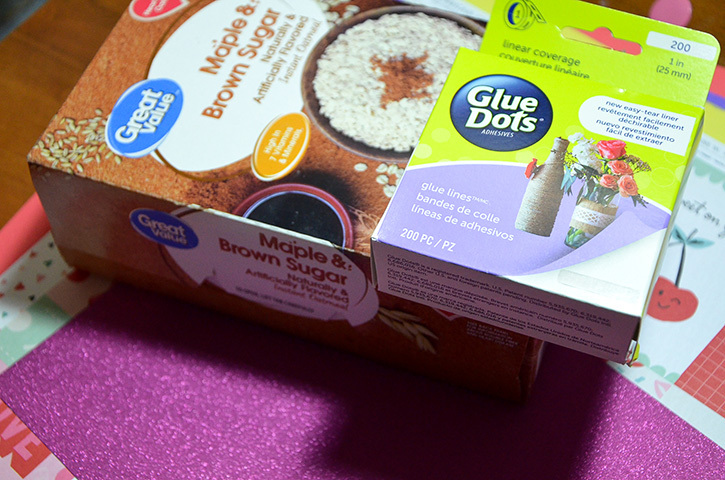 The best part, your kids can help build and decorate this box with the help of various Glue Dots® adhesives. 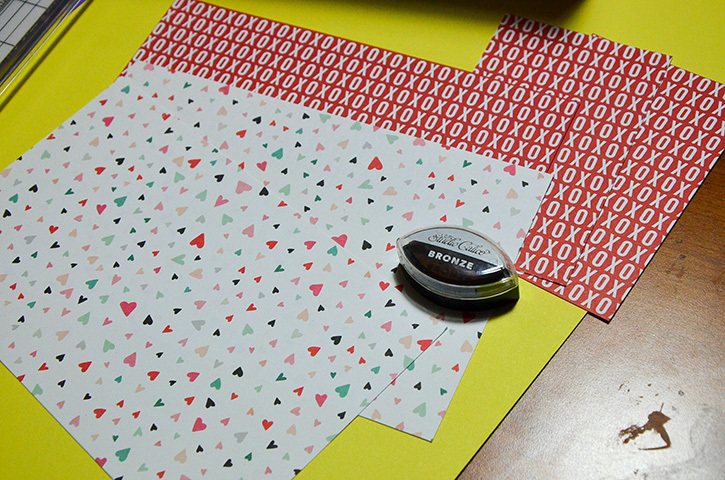 Measure the box and cut out patterned papers to cover all sides of the box, except the bottom one. Ink the edges with brown ink. Set aside. 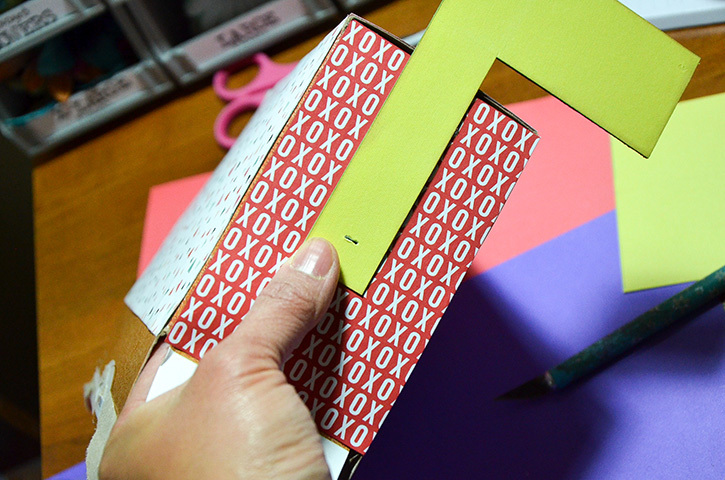 Use the ruler and pencil to mark a ½”-wide hole in the center of the top of the box. Cut out the using a Craft knife. 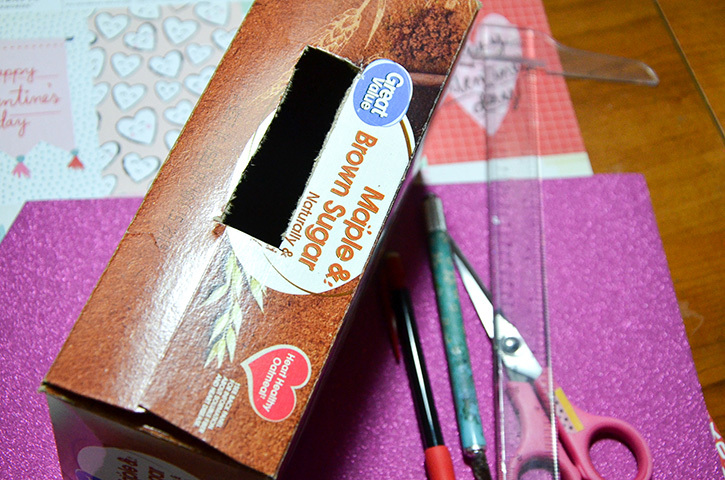 Align the pattern paper that you want to use for the top of the box, and carefully tip it over, so you can go through the bottom of the box and mark the hole the top paper. Now, cut out your marked-up paper. 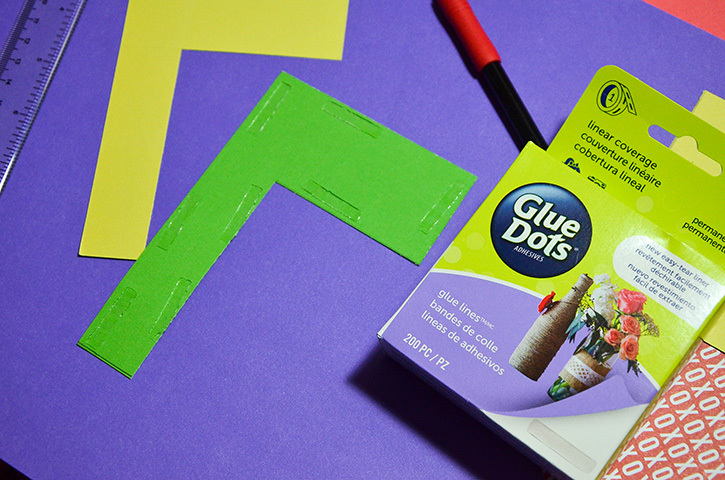 Line up your cover so that the holes match and then adhere it to the top of the box Glue Lines™. Using the same adhesive attach your papers to each side of the box. 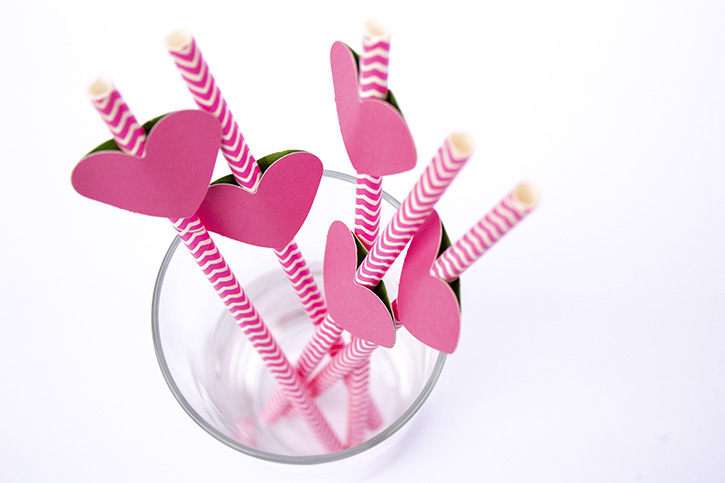 Punch out a scallop border from pink cardstock. Make enough to for the sides, front and top of the box. Adhere the scallop borders using Mini Dots. 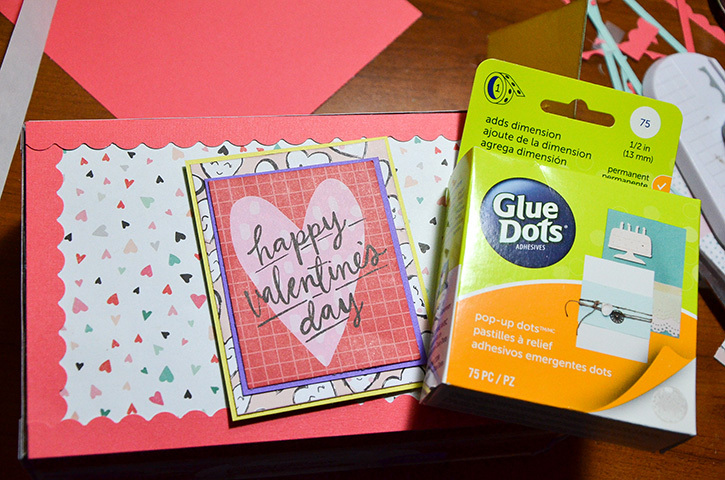 Adhere the two papers together using Glue Lines. Place the flag on one side of the box and with a craft knife, cut a slit in the center so that you can poke a big brad through. Once you poke the brad through be sure to secure the ends inside the box. 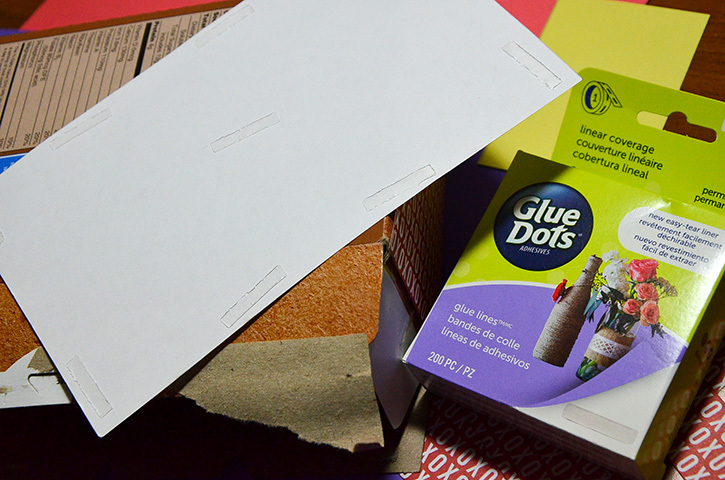 Close up the bottom of the box using Glue Lines. 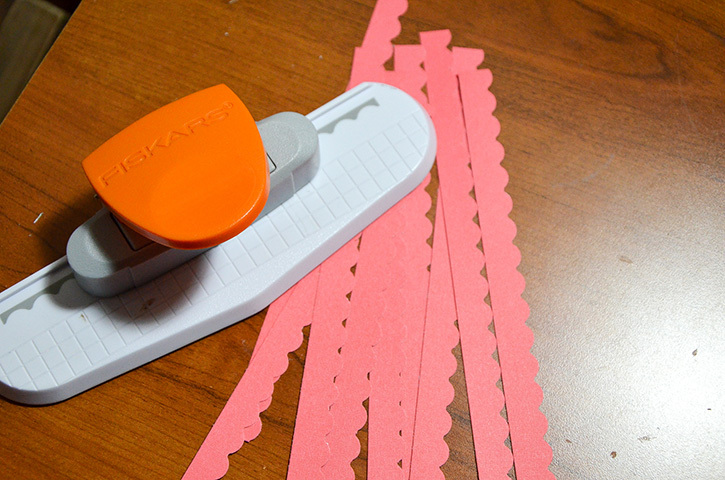 Cut small blocks of Valentine notes. 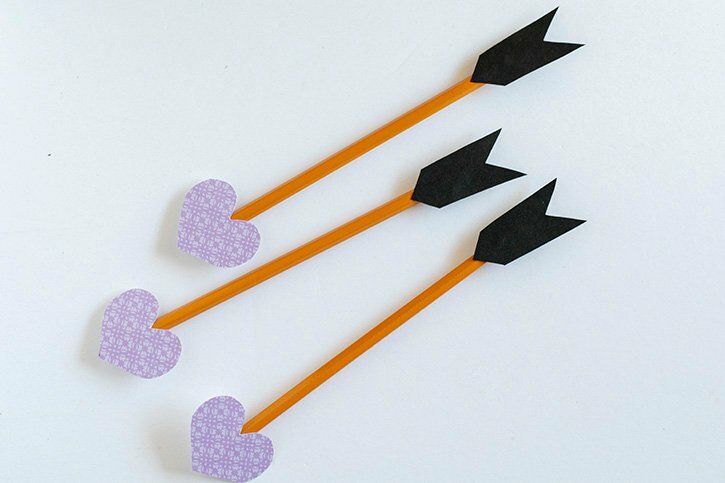 Trim one to about 2½" x 3" and mount it onto some purple cardstock. 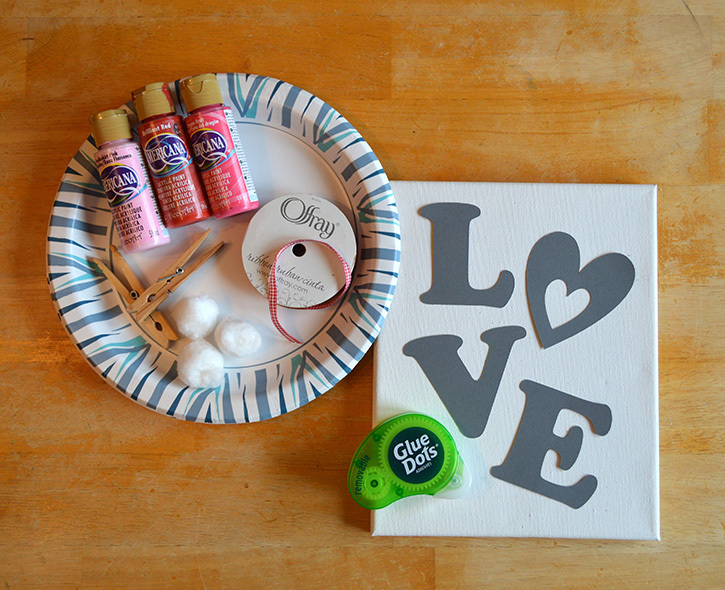 Adhere with Glue Lines. Trim off excess. 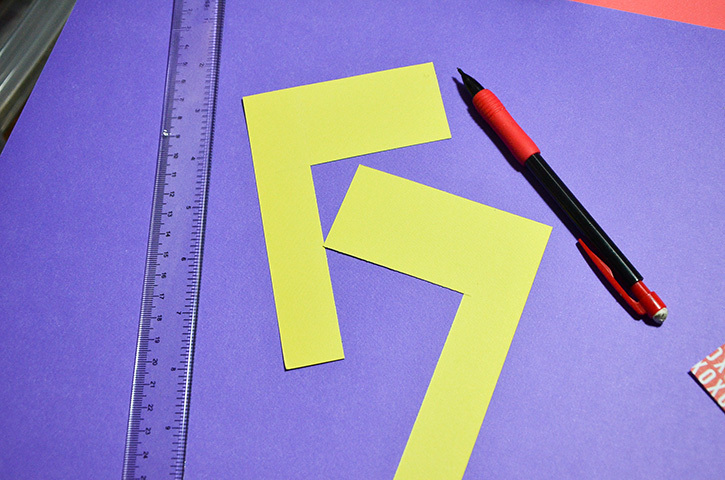 Add another layer by cutting out a 3" x 4" piece of yellow cardstock. Adhere with Glue Lines. And trim off excess. 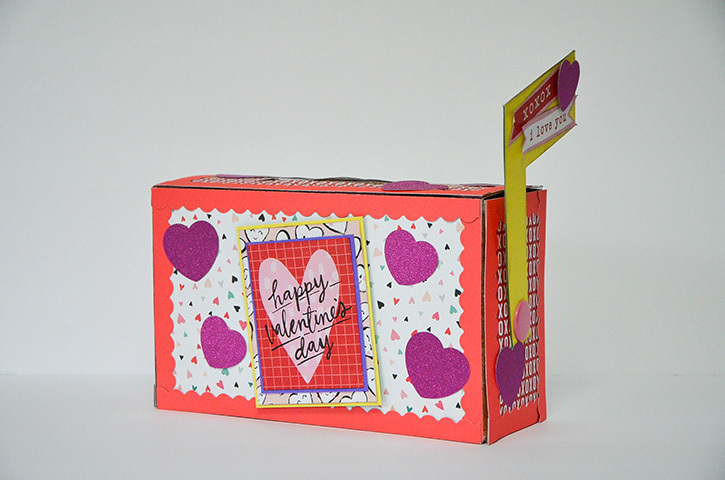 Adhere this layered Valentine's block onto the front of the box using some Pop-Up Dots™. 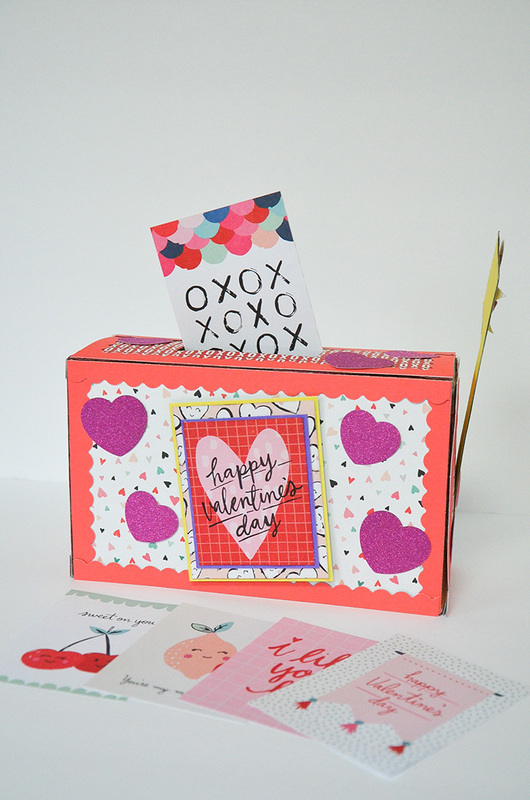 Punch out hearts from glittered cardstock and adhere onto the box with Glue Lines or Pop-up Dots. Insert the Valentine notes into the box if desired.